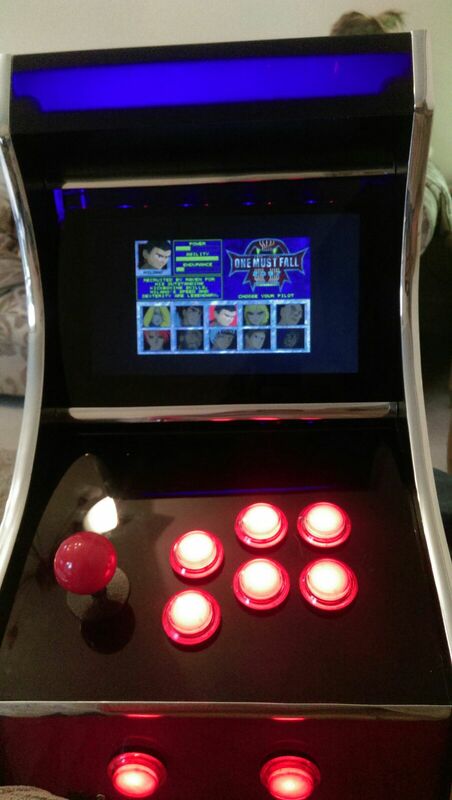 So, my buddy, he who originally "shared" OMF: 2097 with me, has been working on building a small arcade machine, to which he has also hooked up external controllers (NES, SNES, PSX etc)... However, the built-in controller he has made alng the cabinet with a small screen is still pretty impressive. He has a multitude of emulators running on it, as well as DOSBox. I'm going to his house in September so I'm dying to play this! RetroPie on Facebook is where he posts stuff and gets inspiration, should you be inclined to build this! Man, don't have the space or money to build something like that! I have a full cabinet at home - it used to be a Blades of Steel cab but it was gutted before I got it. I've since shoved an old Phenom II X965 with a GeForce 620 in it. It's currently running Hyperspin, using Rocketlaucher to handle MAME. I have plans to further build it out (I have a trackball already) but before I do that I actually want to rebuild my control panel. It's currently too tight in the box from the cab so I was going to create a mounting block and basically have a self-contained control panel I can just drop in/mount and plug into a USB hub for easier maintenance. I can give pictures, if desired. It's tiny and cheap! Pi isn't expensive, screen is small (7 inch tab sized??) It's really not a big bit of kit. Does anyone have a link to what they used to get this running on a pi? is it using dosbox or some sort of emulator like that? emulation station play it? It would be nice to add to my RetroPi setup. Thanks! I think I already have DosBox installed in my retropie. but That tutorial, while really long, will help fill in any gaps if I have them.